Why Choose Stormproof Roofing Company in Derby? When looking for roofing company in Derby or Burton on Trent you need to be sure that you are getting a reputable roofer. You can’t always see the quality of roof repairs or new roof installations. 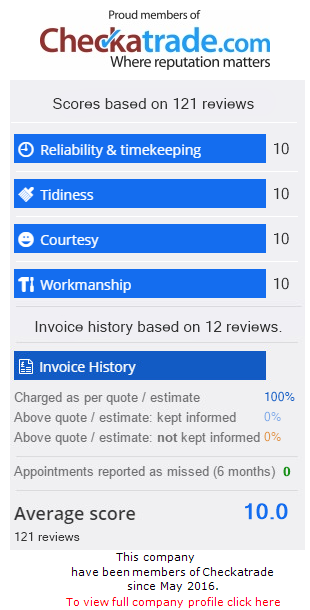 With years of experience and an enviable Checkatrade rating, Stormproof Property Services is the right choice! The trusted Derby reroofing service for flat roofs, tiled roofs & felt roofs. A quality Derby roof repair company for every type of roof. With soffit & UPVC fascia repairs or replacement, your home looks great. Dry verges help waterproof the roof, look great, are maintenance free and a great investment. Dry ridges are mortar free, ventilate your roof and prevent insect & bird entry, keeping your roof healthy. A well maintained or repaired chimney stack keeps your home and family safe, all year round. Flat roofs need specialist roofers to ensure it is installed, repaired & waterproofed right first time. The Derby roof cleaning and coating company keeping your roof looking great and lasting longer. See our work and find out why we are the roofers in Derby & Burton on Trent to choose.